Dr. Mark Riggs’ area of expertise is statistics, but at heart he is a musician. And, he notes, the two often go hand in hand. 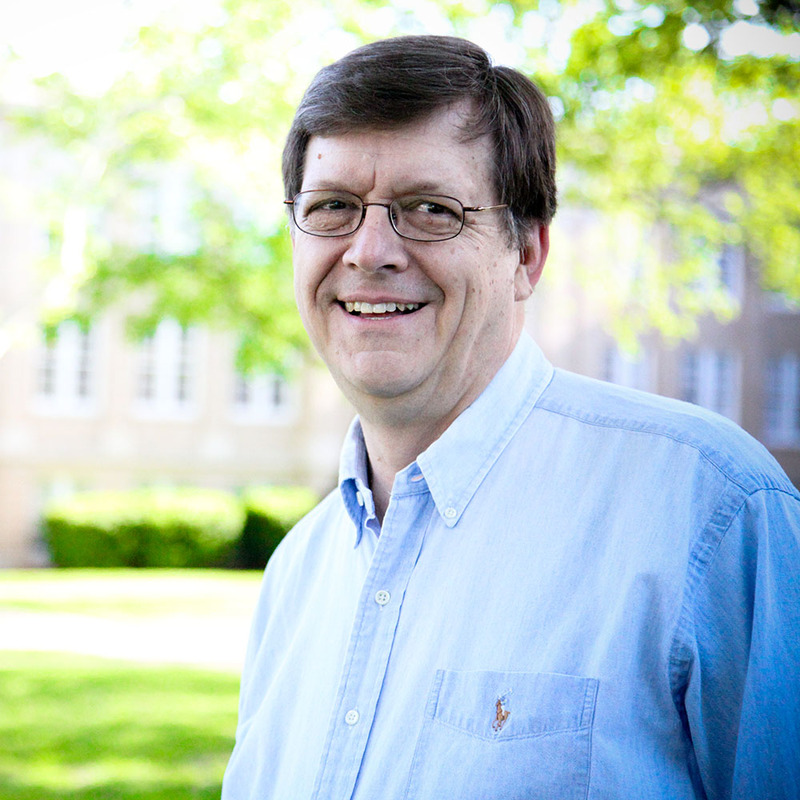 Riggs teaches all upper level courses in the math department, which include two statistical methods courses and a course in mathematical statistics. In addition, he teaches courses related to the math degree with a concentration in actuarial science. ACU is one of only a handful of universities in Texas that offer a program specifically designed toward the actuarial career, says Riggs. Actuarial science is the discipline that applies mathematical and statistical methods to assess risk in the insurance and finance industries. ACU graduates have passed introductory exams for the field at a rate far exceeding the national average, Riggs says. “Since probability and statistics plays such an important role in actuarial science, I oversee this program in our department and advise our actuarial science majors,” he says. Teaching math to non-majors introduces Riggs to a broad cross section of students that he follows through graduation, and even beyond. “My favorite part of teaching is being in community with a wide variety of students,” he says. Riggs first taught at ACU in 1980, having just finished all but his dissertation for a Ph.D. in statistics from Texas A&M. He finished that degree his first year at ACU and continued teaching for the university until 1987. In 1987, he moved to Temple to work for Scott & White Memorial Hospital. He worked for 16 years as a senior biostatistician and was head of biostatistics department at Scott & White for seven years before returning to ACU in 2003. Working side by side with colleagues who are committed to following Christ holds a special appeal for Riggs. “We may not always agree politically or even on all spiritual matters, but our commitment to serving Christ binds us together,” he says. Learn more about the Department of Mathematics.